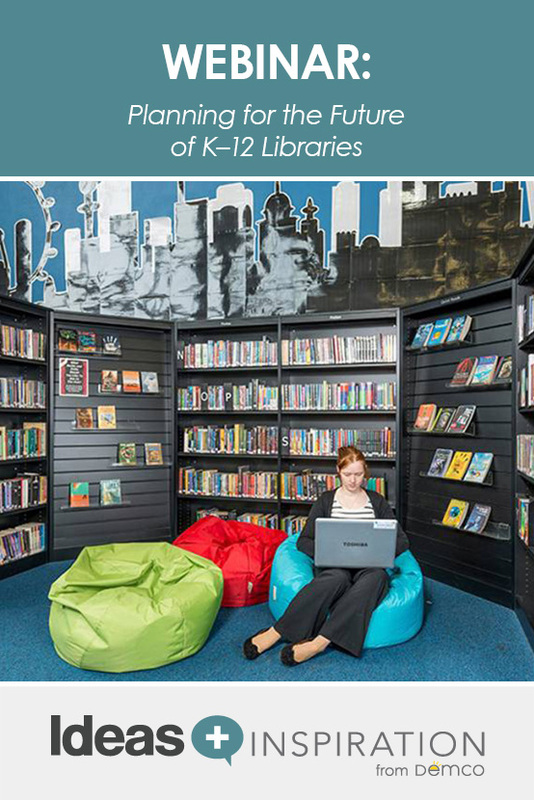 In this Demco-sponsored webcast, Janet Nelson, Demco’s Director of Library Engagement, and Angie Schoeneck, Demco’s Manager of New Business Development, explore how the future of the school library is in creating a dynamic learning commons, anchoring the entire school around knowledge, expression and collaboration, and developing both virtual and physical spaces. 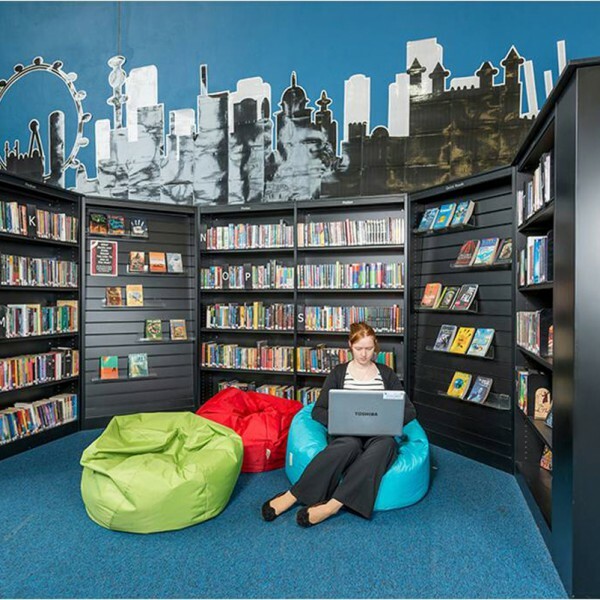 Current trends in education require school libraries to evolve from book warehouses to multifunctional learning resource centers in order to support these needs. Throughout the presentation, you will develop an understanding of how furniture and spaces can be designed to create a variety of zones to support multiple learning activities and the needs of the students, staff, parents and the community. Ideas and examples will be shared to spark even more ideas for you to consider in your library. In addition, there will be an opportunity to ask questions and gain insight into what has worked for other libraries across the country. I am not free to attend the live webinar. Can I sign up and access an archived version? Yes to all – sign up now and they will send you a link to view later. One caveat – you won’t be able to ask questions of the speaker, that is an advantage of joining in realtime. I am in the same situation as Karen. Can I listen to it at a later time? I cannot participate in this webinar during this time frame. I would love to see/hear it at a later time and or date. I am an elementary school librarian. I would love to attend this webinar, but I have a class in the library at that time. It seems like all of the webinars I’ve seen advertised are during my time with a class. Is it possible to view it after it has taken place? I would also appreciate hearing an archived version of the webcast as I have classes during the scheduled broadcast time. Thank you! I am in the same situation as the others but would like the chance to listen at a later date/time. Once again, I am not able to attend the live presentation at 1:00 CT. However, I certainly want to hear what they both have to say on the subject. Thank you! This sounds like something I would like to “attend” however I live and work in Tanzania east Africa and the Webinar begins at 10pm my time. Is there a way to watch this after February 11? If not, how long will the Webinar be and maybe I could watch if it doesn’t go too late. Please send me a link so that I can view this webinar at a more convenient time. I would like to participate in it I therefore need the exact time for it. I am based in Ghana. Would like to view this webinar. Is that still possible? This is great! I have been working on my dissertation and one element addresses the future services of the library. In other words, where we think the library services are headed and how the library itself will evolve in the future. Is there a transcript of your work I could also use in addition to watching the webinar? Or do you possibly have related articles on this topic or a bibliography? Johnnie Sue, I’m glad that you found this helpful. I will send you some materials that might be helpful. I was not able to attend the webinar this week, Planning for the Future…Is it available to access? Will this webinar be available to view next week? Does Demco provide a certificate of completion after the webinar? It would be nice to have for my personal development hours. Eric, yes, we do automatically send out a certificate of completion to all attendees on the live webinar. If you watch any of the recorded webinars and need a certificate after that, please email webinar@demco.com. Thanks for asking! I was not able to attend the original webinar, but would it be possible to forward me a link so that I could view the archived webinar? Pamela, thanks for asking! If you hit the “play” button on the center of the photo at the top of this page, you’ll be able to watch the webinar when it’s convenient for you. I can not tell you how many times I have listened to this webinar. I will be presenting our new learning commons idea to our BOE and have found this webinar invaluable. Thank You! So glad that this material was helpful. Just let us know if there is anything else that we can help with. Where can I get a certificate of attendance when webinars are completed? Thank you in advance for your assistance.